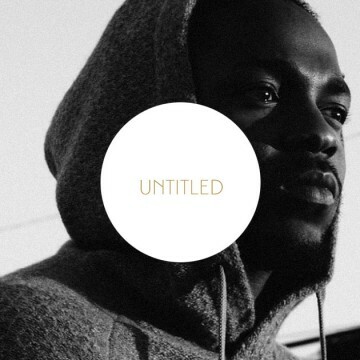 Kendrick Lamar’s Pulitzer Prize Surprise: All You Need to Know | Has it leaked? Rappers boast of many things in their lyrics from the money, cars, who is king in the industry and dissing other rappers. But Kendrick Lamar now will boast of something none of them has The Pulitzer Prize. His album Damn won him the award as the first musical work that is not classical or jazz being awarded in 75 years. The Pulitzer prize surprise is perhaps well deserved as well, and we will take a look at why below. The album Damn is Lamar’s fourth album that has been universally lauded. Lamar’s albums are the best in this millennium. Barrack Obama admitted that Lamar’s album Pimp butterfly was his favourite rap album. The Pulitzer board described it as a virtuous authentic album with rhythmic vignettes that captures the complexity of the African American. This is something big for the hip-hop industry. We have to admit the Pulitzer prize came at just the perfect time. Lamar had faced some big losses earlier this year at the Billboard Music Awards. Bruno Mars won Album of the year. It goes without saying that Lamar has had a streak of bad luck when it comes to his albums being recognized. Two years prior Taylor Swift won album of the year and two years prior that he lost in the same category to Daft Punk. But this year things went his way when he beat out two finalists: a string of quartets performed at Carnage and cantata written for chamber choir, guitar and percussion. However, even if Lamar won the award it got a lot of people talking. The album was awarded for capturing the complexity of African American modern life, but this begs the question haven’t black music being doing that since forever? We just have to look at one artist who’s also at the top of her game right now: Beyonce. In 2016 the album lemonade took the world by storm. But she did not receive any accolade and am not talking about the Pulitzer Prize. Beyonce has been paying a contribution to the black music of all genres. During Coachella, Beyonce headlined the whole occasion. She honoured black music through a black gaze. Her mother Tina Lawson posted on Instagram about her performance. The white audience of Coachella was confused by the all black culture. Beyonce and Lamar performed their joint song, ‘ ”Freedom”.at the Coachella. But the best performance these two have had of the song is during the BET Awards 2016. They splashed around water and the audience was left awed. Just like Lamar’s album Beyonce is another artist who deserves some recognition. However, some believe it is the impact of Dana Canedy that made Lamar win. Canedy is the first African American and first female administrator in the Pulitzer board. According to her Lamar deserved the Prize, there was even a heated debate about him winning. But for both of them- Lamar and Canedy they have represented black culture.